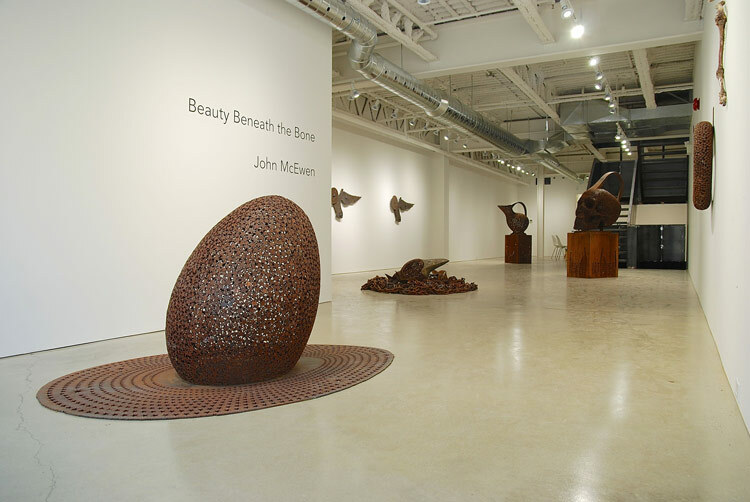 DNA Artspace is pleased to announce Beauty Beneath the Bone an exhibition by one of Canada's foremost sculptors, John McEwen. Please join us in celebrating the exhibition reception combined with the Grand Opening of our newly renovated space. Artist in attendance. 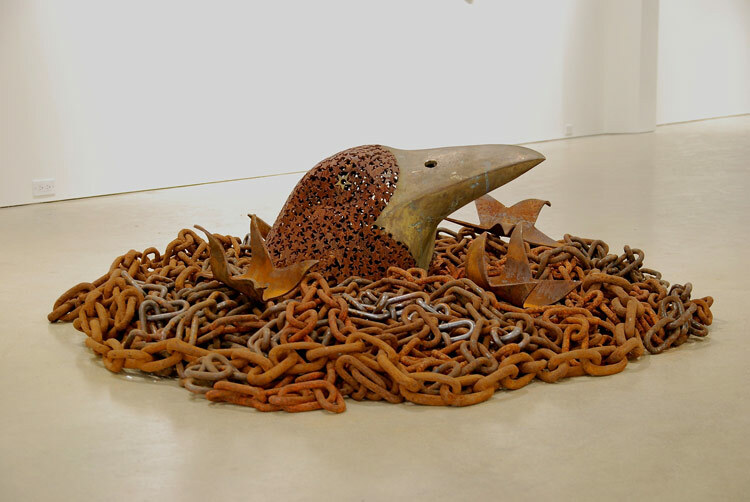 For over thirty years McEwen has explored the relationship between animals and people; primarily the role of the animal in the human imagination. He is best known for his sculptures that reference Canadian wildlife, silhouetted forms of wolves and dogs which have been flame cut from thick metal slabs. Where animals look is fundamental to these works. Karen Mulhallen eloquently describes his early sculpture, Marconi (1977-78), "The dog is both subject and object. As a sculpture the dog remains mute and motionless, but as a subject it looks where animals look." 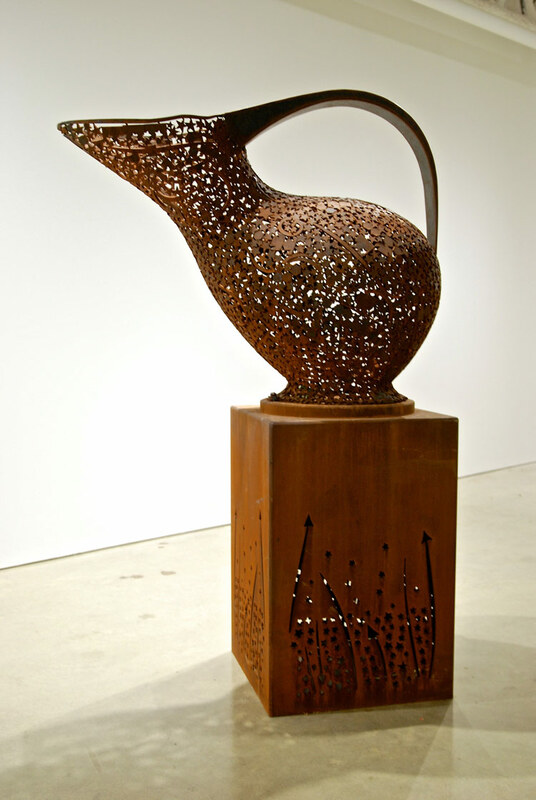 His recent work is identifiable by his use of metal stars that have been laser cut from steel and fused together. Unlike the solid silhouettes of his early sculptures, viewers may peer through a "skin" of closely knit stars. Stars are one aspect of nature that we do not touch but view from a distance. For McEwen, staring up at the universe creates a space for the imagination. He compares this experience to human thought which, "takes place in the darkness of the body." 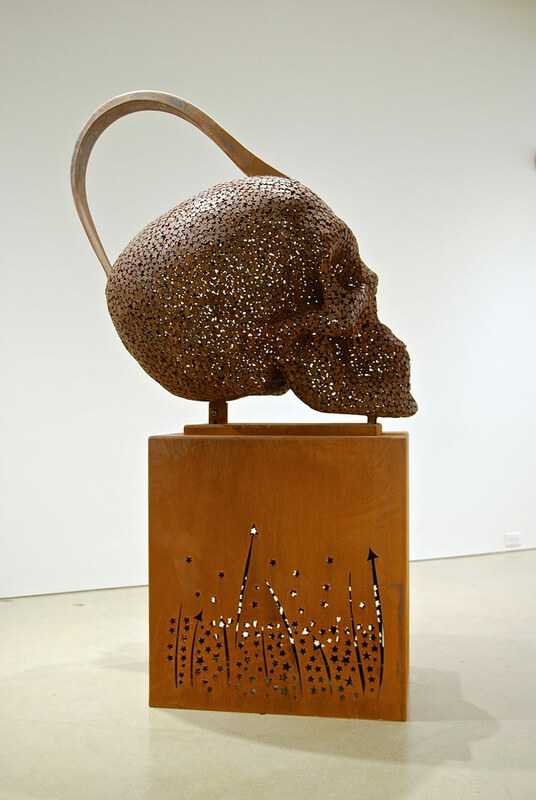 The new sculptures presented in Beauty Beneath the Bone are inspired by forms that may function as containers. Whether it is in the configuration of a skull, a jug, an egg, a nest, or a body, their contents is left open to interpretation claiming that this is perhaps where the beauty lies, "To say that language is the clothing of thought is one way to describe that Beauty." 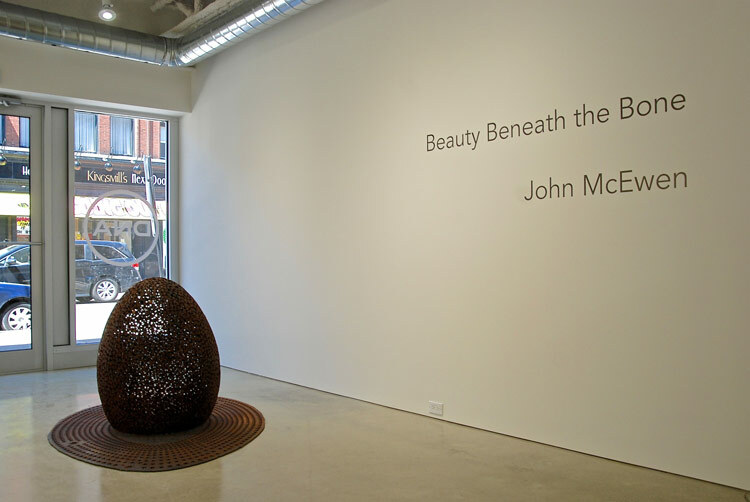 John McEwen was born in Toronto in 1945 and is based in Hillsdale, Ontario. 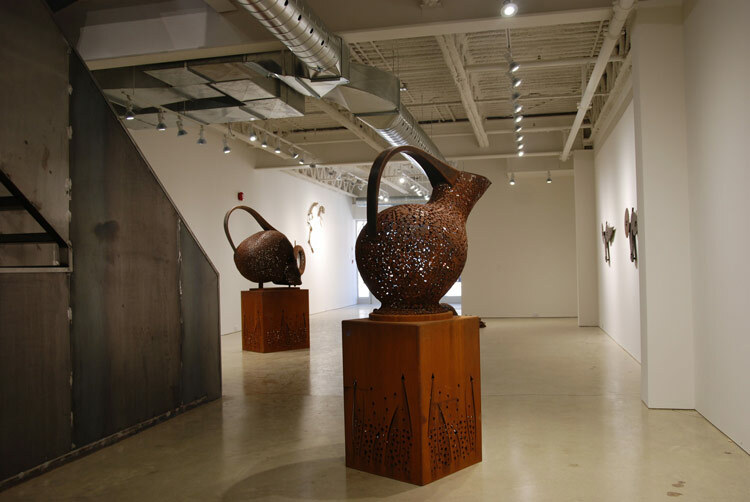 He is recognized both internationally and across Canada for his many site-specific installations and public commissions. He is currently represented at Olga Korper Gallery, Toronto.